You're thinking, "Oh, crap, Glen's gonna talk about his Mac again!" If that's what you're thinking, you're pretty close to being right! But this time, I'm going to tell you how to run Windows applications on your Intel-based Mac, without having to run (or even install!) Windows. Note that you'll have to have X11 installed, else Darwine won't work! This article came about because I asked Keith Vincent if he could test Bridge via Darwine on his MacBook Pro ... and he asked me for further instructions on using Darwine. I did some Googling (I've been using Darwine for a while now, and forgot how I got started!) and wrote those instructions for him ... but you know me: Instructions are best with pictures! So here are the instructions I posted on CRF -- this time, with pictures! My apologies for the lack of updates on this article. My main supplier of all things Dar -- er, Wine has apparently taken on a large contract, so he has had no time to do any work on his Wine/Wine Bottler projects. His last tweet said, "There IS light at the end of the tunnel! ", which I took to mean that he was at the ~half-way mark in his contract ... but that was a long time ago, with no updates since. In the meantime (classes/life/etc. 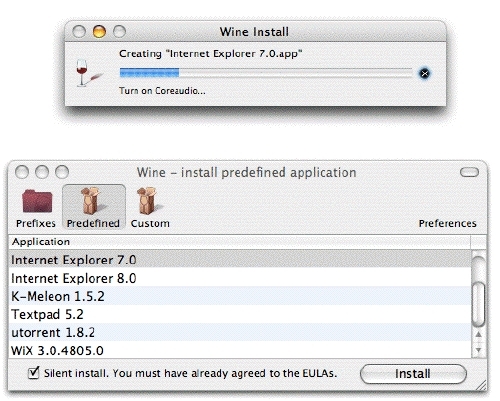 permitting), I plan on exploring other options for running Wine under Mac OS X ... but while you're waiting, don't forget CrossOver Mac. I will put those in another article with the difficult-to-guess title, Darwine II ... but I will update this one when Mike comes up for air -- hopefully soon! "We will serve no WINE before its time." ... As Orson Welles used to say ... and as the folks over at the Wine project also seem to have been saying for these past 15 years ... because it's taken them that long to get Wine, their project designed to allow non-Windows users to run Windows applications on their computers ... without needing to install Windows, to the relase version of 1.0. "Windows? We Don't Need No Stinkin' Windows!" 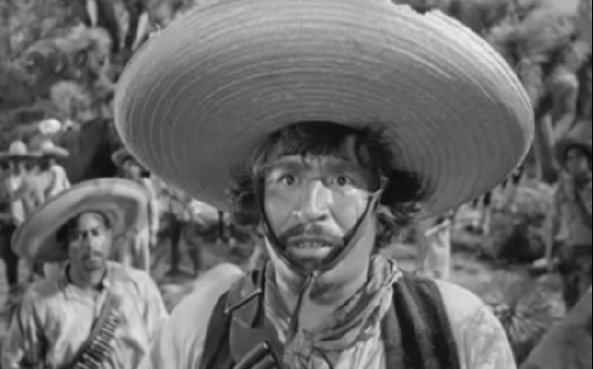 "We Don't Need No ...."
While that mangled quote from "Treasure of The Sierra Madre" is a good one, it doesn't quite apply here, because not all Windows applications are supported under Wine -- at least, not yet. NOTE: Wine/Darwine DOES NOT SUPPORT USB DEVICES at this time ... so you WILL NOT BE ABLE TO STENO INTO YOUR CAT SOFTWARE!! Look for USB support when Wine/Darwine gets to version 1.2 (it's at 1.1.21 right now). Now that that's out of the way, let me tell you about a few alternatives to Wine that are out there. If you've been reading ol' Cheap and Sleazy for more than a couple of months, you probably know that I got my start with Wine by downloading the demo of CrossOver Mac. CrossOver Mac is the "commercial" version of Wine (~$70), and seemed a bit more polished than Darwine. I tested it with my usual suite: digitalCAT, Eclipse, Speed Teacher (installs, but does not work properly), and the Drill Machine. Everything installed, except Eclipse. 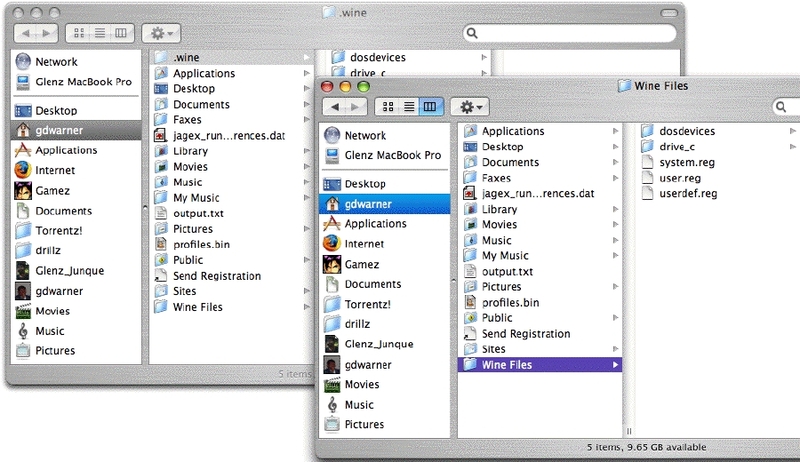 Darwine is a version of Wine that runs on the Mac (Intel-based systems ONLY; sorry about that ...), and is not supported through the Wine website. The link above leads to version 1.0.1 of Darwine; see the second half for the links to the current version. As I am still running 10.4, I'm using the second link for my Darwine fix. 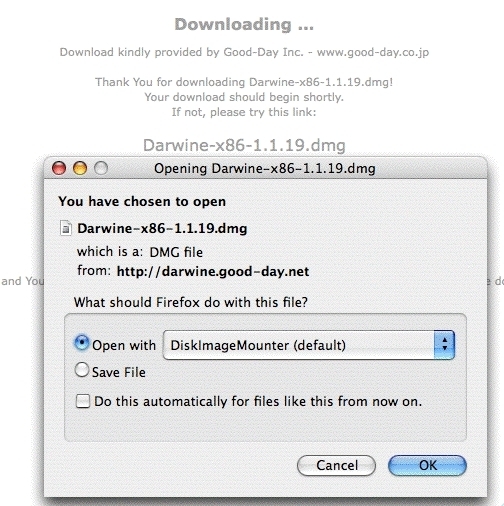 Well, after you have ejected the disk image and thrown out the Darwine.dmg file you downloaded, take a look inside the Darwine folder. Say ... you're not running any applications from a .dmg (disk image) file, are you? You're supposed to throw those things away once the application has been installed! Not very exciting, huh? Sorry about that. If your window looks something like the above, feel free to look around, but don't change anything (not sure why, but that's what the tutorial I found a couple years back said to do ... so I'm passing it on!) ... when you're done, click the Save button, then close the window. Feel free to look around in there also to see what's there ... but again, don't make any changes, and click the OK button. This will cause Wine Config to quit. Next, open the TRiX application. TRiX is a front end used to configure Wine and/or install libraries, fonts, etc. your particular application may need. 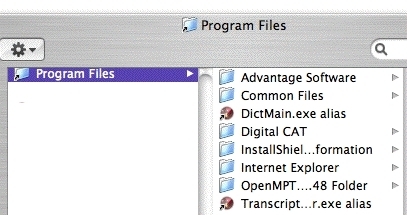 For instance, to get digitalCAT's dictionary maintenance program to work, I had to install the Jet 4.0 Database Engine, and version 2.5 of Microsoft Data Access Components. 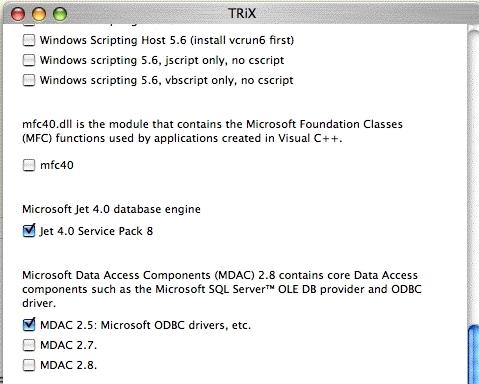 I suspect that no matter which CAT software you install, you'll need some sort of database component to make it work ... and that section of the TRiX application is where you would find those database bits and pieces. "Cool ...! But Where's the My Programs Folder?" The thing most new users find confusing is the fact that the folder that is your entire C:/ drive is ... invisible -- which, as you might guess, makes it hard to manually navigate to and double-click the application you want. 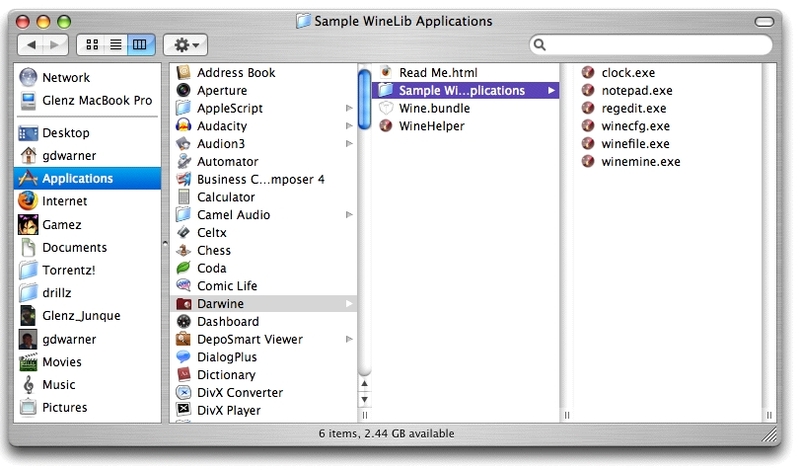 Sure, you could use the winefile.exe application in the Sample WineLib Applications folder, but hey --! We're Mac users! We don't want to open no stinkin' -- er, we don't want to open an application to open another application, right?! Fortunately, there is a way to put an alias of the Programs folder on your desktop, thanks to the power of the Mac's underlying Unix-based operating system. To put that alias on your desktop, locate the Terminal application. It should be in your Applications folder, inside the Utilities folder. Double-click it. After you type in your password, this command will put an alias of the Program Files folder on your desktop. Note that you can either manually type the above in, or you can copy and paste it in. Either way, hit Enter when you've got the desired text on the screen. At this point, you'll be prompted to type in your password. Do so. After that, the terminal will do what you asked -- but you won't see any indication that it has, until you look at your desktop, where you should find the desired alias. Naturally, your Program Files window won't look like mine, as mine shows I've installed Advantage Software's Bridge (you can't really tell, but it's the Advantage Software folder that gives it away), Open Mod Plug Tracker, and digitalCAT ... and I've made a couple aliases to the Dictionary Maintenance program and the Transcript Editor programs so I can get to them quicker without going into the digitalCAT folder every time. If you went for that second option, now that you know what those two commands do, you should exit the terminal and quit the application, as described above. "Cool! Now what do I do?" Well, howzabout installing some Windows apps? I'm sure you have a copy of the Drill Machine you can install. If not, you can always download it. You can also download the Speed Teacher and see if you can get it to work properly ... or you can download Bridge or CaseView.net ... hey, even GlobalCAT. You can even download the afore-mentioned Open Mod Plug Tracker ... and test it out with Darkhalo's Eastern Shore.xm, or U4ia's Xmas Pudding Mix.mod, or Necros' Silent Night.it ... or even basehead's Forever.s3m ... and use Open Mod Plug Tracker to see how these tunes were put together! If you are thinking about other things to install, check out the App Database to see what works ... and what doesn't. "Sounds good! Any other tips?" Yes, as a matter of fact. When you're done with whichever application(s) you're running, don't just quit X11. Instead, treat it like I had you do the terminal (minus the extra commands) and type in "exit" ... and THEN quit X11. You can then quit Wine Helper. Well, that's about it ...! Using Darwine isn't really that hard. The terminal trick in this piece is probably the hardest thing about using Darwin ... but thanks to the miracle of copy-and-paste (and my work with Google finding those commands), that difficulty is now gone! Now then ... all we have to do is wait for version 1.2 and USB support, and then we'll see some serious stuff! Enjoy your time ... with Darwine. Yes, that's right ... seems the PTBB (that's Powers That Be Bein') over on the Wine-Developer's List were unhappy about certain additions to the Mac version of Wine (a.k.a., Darwine), so after much screaming and gnashing of teeth, Darwine is now to be known simply as Wine. Just search for "winebottler" and you'll find it. As some might have read on Wine-Devel, Darwine is dead for good. 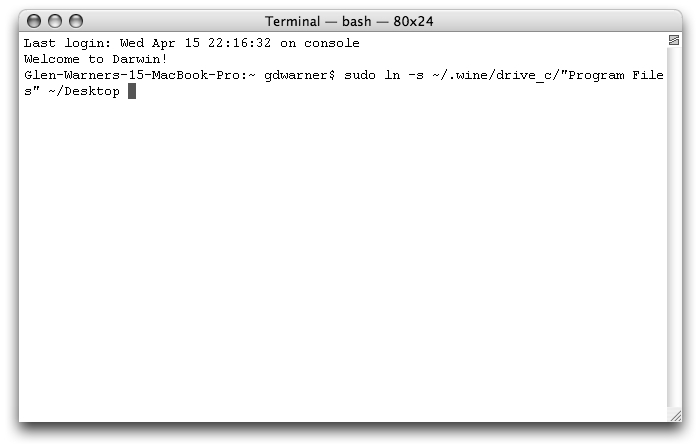 :o) The OS X port of Wine formerly known as Darwine is now Wine. What does this change? There will be no more "Darwine" packages from me. It would be a simple thing to rename the package to "Wine." But there are more things to consider. 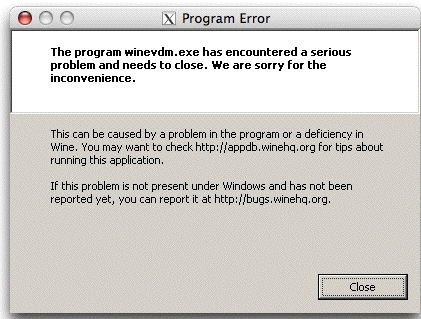 Winehelper, the starter App from Darwine is really dead; this is why I'm developing a new one called WineBottler. For simpleness sake, I'd love to call the new package Wine, but it does not give justice to the fact, that it's a non-Wine project wrapper around the Wine package. Nor gives it justice to the other wine derivates like Crossover or Bordeaux. Mainly because of Macish simplicity I'd love to only have one Package which can be autoupdated. 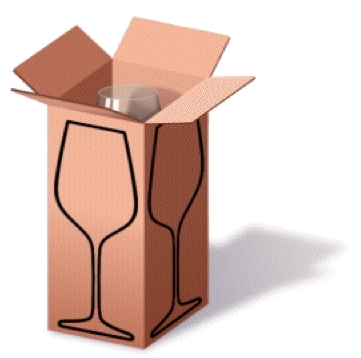 Distributing the bottler alongside a wine bundle like now could be another solution. "Great. Now What Do I Do? There's No Documentation or Anything ...!" Well ... sorry about that; this document is as close to documentation as Darwine -- er, Wine for Mac OS X -- gets! As for what to do, if you've installed the reference version of Darwine (you know ... version 1.0.1), just follow the previous instructions. 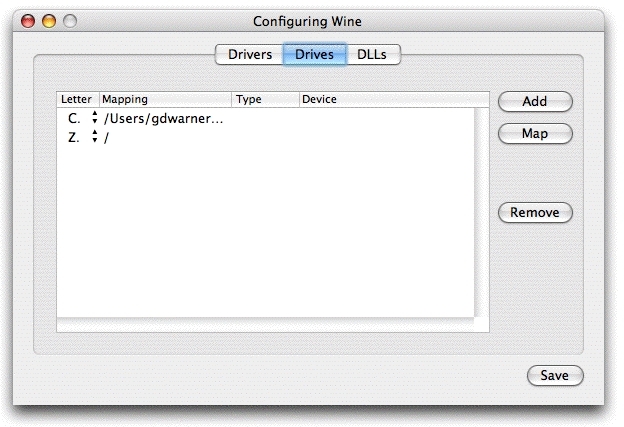 This sets up a few internal settings and links which will allow Darwine (and, later, WineBottler) to work properly. Once you've done that, download WineBottler ... and compress your Darwine folder (just in case you have to set up those internal paths again). While you're at it, you can toss TRiX as well (those of you new to WineBottler AND Darwine can skip that last step!). Did you notice the little wine glass there? That's the Wine Menu. 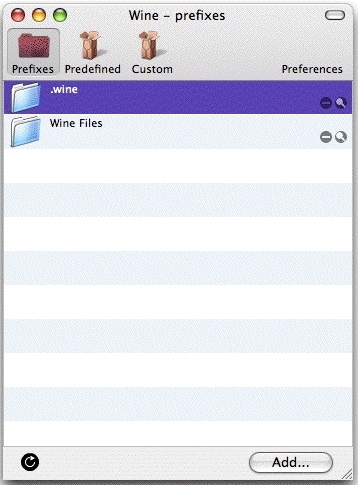 The item at the top there basically tells Wine where the files/directories are, through something called a Wine Prefix. If you installed Darwine at anytime, your prefix will match the one pictured. 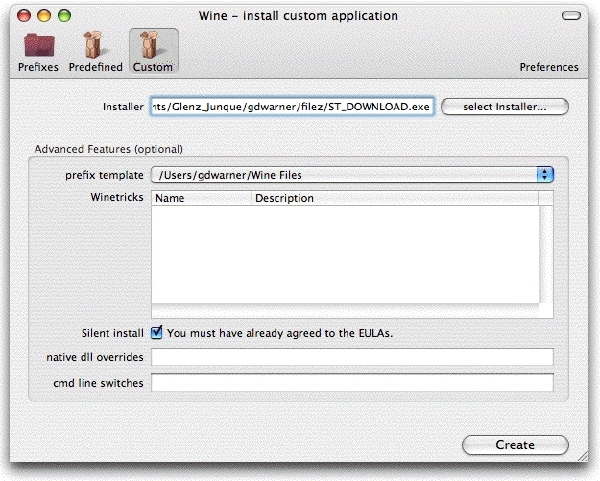 If you've never installed Darwine, your prefix will say Wine Files. 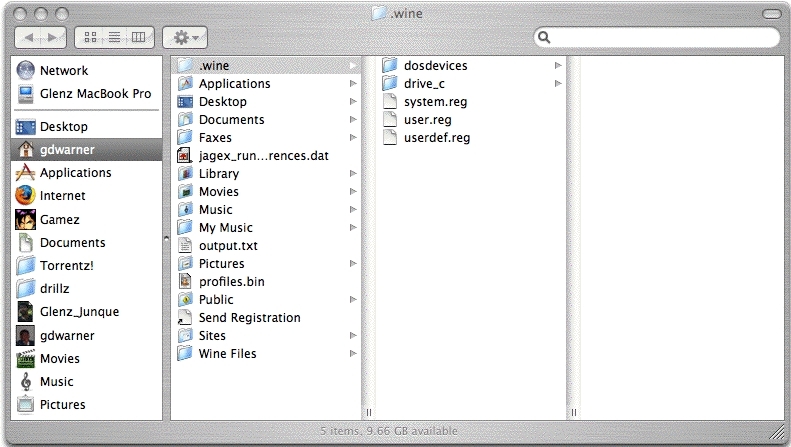 The rest of the Wine menu is made up of some of the things from the Darwine folder (File Manager is winefile.exe, Regedit is regedit.exe, Wine Configuration is winecfg.exe), and Winetricks is the application TRiX). 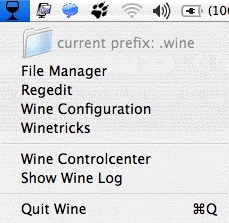 The last three items are the Winecontrolcenter, Show Wine Log, and Quit. Note that the Prefix highlighted above matches the Prefix in the previous picture. This is where you make that selection. If you look closely at that picture, you will see the highlighted .wine folder at the top ... but what's that there at the bottom? 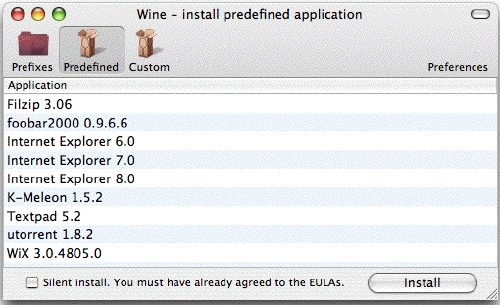 Yes -- it's a (visible) Wine folder ... which, of course, corresponds well with the unselected prefix. This, of course, means that if you use the Wine Files prefix, you won't need to go to all the trouble of making your Program Files folder visible ... because it already is. Here, you can install any of the applications listed. I will walk you through installing IE 7.0. 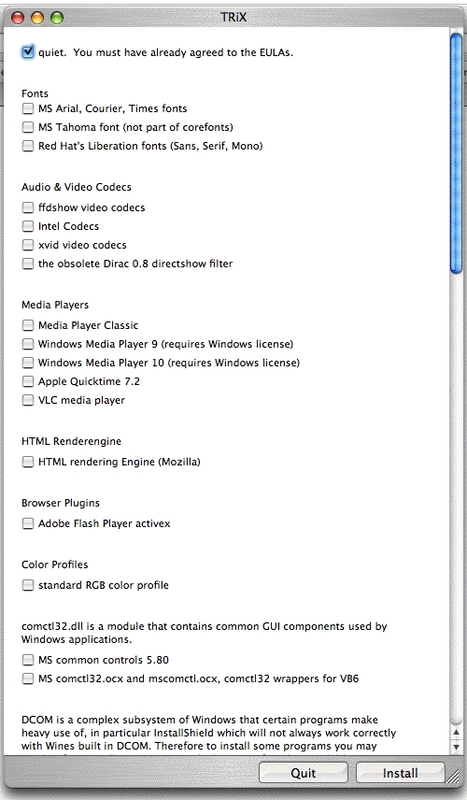 Select Internet Explorer 7.0 in the list, click the "Silent install" check box, and click the Install button. As usual, you will be asked to select a location. I selected the Internet folder you can see in one of the above images. I'm not too familiar with all things Windows, but as you might guess, the rest of the items in that list are installable Windows applications. If I were you, I would do some Googling and see if any of those titles appeal to you ... and if they do, install away! Alas, the attempt to install IE 7 (and IE 8) failed! Not sure why; I just ended up with a 79 MB file that opens the X 11 window ... and that's it. I'm no expert, but think this might be a bug! Fortunately, such bugs are what the Wine Log menu item is for ... and we'll get to that in a few. 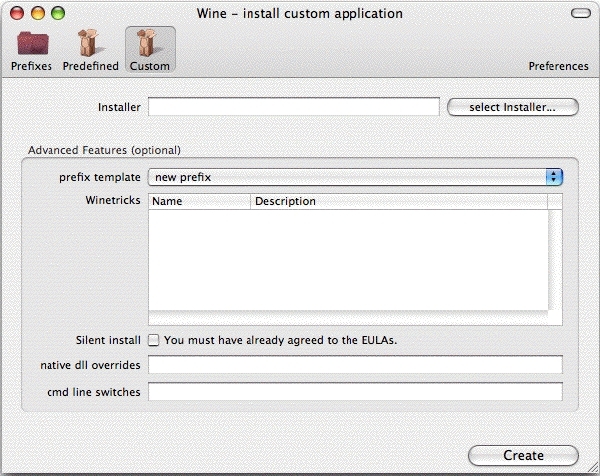 I have to confess that I haven't done much with this area as yet ... but I have an application here that won't work under my normal install of Wine ... maybe switching prefixes and using the Custom area will make it work ...! As you can see in the picture below, I have selected the Wine Files prefix, and the application Speed Teacher for my tests. As regular readers of ol' Cheap and Sleazy might recall, my attempts to install Speed Teacher of late have not worked, due, apparently, to a previous (non-Mike Kronenberg) install of Wine. I am hoping that installing it this way will result in a copy of Speed Teacher that actually works -- beyond, that is, the pesky bug that blanks the screen when you hit Start, of course (I hear the Wine developers are working on this one). As this is being installed under the Wine Files prefix, I have elected to install it in the Program Files folder inside the (visible) Wine Files folder (everyone remembers the concept of APFEAEIIP, right?). If not, click the link, and compare the two pictures of my (old) desktop with that of my ex-roomie. Well, ah ... (*ahem*) ... this feature isn't quite ready for primetime yet, either! The progress window has been increasing for a while now, but seems to be stuck at about a quarter of the way through, where it's been for the past 20 minutes. We'll get back to this one in the "Wine ControlCenter: Show Wine Log" section. Of course ... I could switch to the Wine Files prefix and install the Speed Teacher ... but then I won't be able to test this feature when the next version comes out ... so I'll wait. 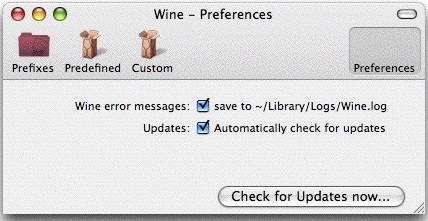 The first checkbox enables the Console app to see your Wine errors, so it is checked by default. The second checkbox enables an automatic check for updates ... but I never see any evidence that it checks for updates when it starts. I am currently off-line as I write this, and I haven't seen any error messages complaining about not being able to check for updates during my testing. I'm guessing Mike was smart enough to make WineBottler check to see if there is an internet connection BEFORE checking for updates! You'd be surprised on how many developers omit this check ... and their application throws up an error message when the application can't phone home! 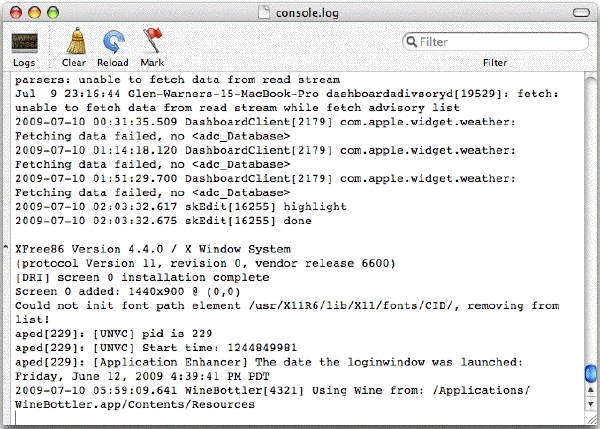 While the menu item says Show Wine Log, what you're actually seeing is the Console application (look in your Utilities folder sometime). 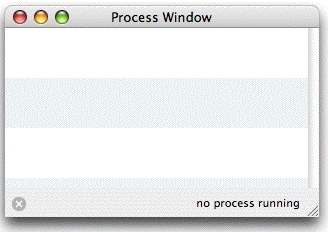 This application is the one you go to when your Mac crashes; it dutifully records any errors for your later perusal (or to share with Tech Support, should the need arise). If you look closely, you can see that the Wine-related stuff starts near the bottom of the screen, where it's telling me that I'm using Wine from Applications/Winebottler.app/Contents/Resources. If you'll recall, I attempted to install the Speed Teacher, using the Custom function, and it failed. Probably doesn't mean much to you and I ... but from what I can see, it looks like a Wine error. A few paragraphs back, you might recall that I was trying to install IE 7, and got an error. This is the kind of thing the developer (Mike Kronenberg, in this instance) needs to know about -- not the folks that develop Wine. If you run into something like this, when you report your bug, ensure you mention your system specs. Fifteen inch MacBook Pro running at 2.2 GHz on an Intel Core 2 Duo, with 2GB of RAM, running Mac OS X 10.4.11. The developer (any developer) would need to know this information because often, they are supporting two different versions of Mac OS X ... so specifying which version you're running helps to narrow down which section of the code the bug is hiding in. As you might guess, the Wine Quit menu item quits Wine ... BUT the window pictured above is not a normal window -- that is, you can't just hit Enter to make it go away. Instead, you have to physically click the Quit button , which makes the window go away (and quits Wine) ... and after that, you exit and quit the X-11 terminal window as mentioned previously. As you have seen through this narrative, the new WineBottler works -- for the most part -- but there are a few bugs that need attention. The current version of Wine as I write this (11JUL09) is 1.1.25. The version of WineBottler is wrapped around Wine version 1.1.22, if I recall correctly. Version 1.1.23 had some bugs, and when 1.1.24 came out, Mike was working on something else ... and now that 1.1.25 is out, he's on vacation ... so all bugs reported herein will be re-tested when the next version of WineBottler comes out. Hopefully, he has addressed these issues!